2007 McLaughlin Optimist For Sale. Fast, American-made boat that has trophied at national regattas. All parts USODA measured and class legal. Completely ready to sail, buy today and sail this afternoon. Delivery may be available. Pristine white hul with red airbags, Harken blocks, all lines and rigging, and padded hiking straps. 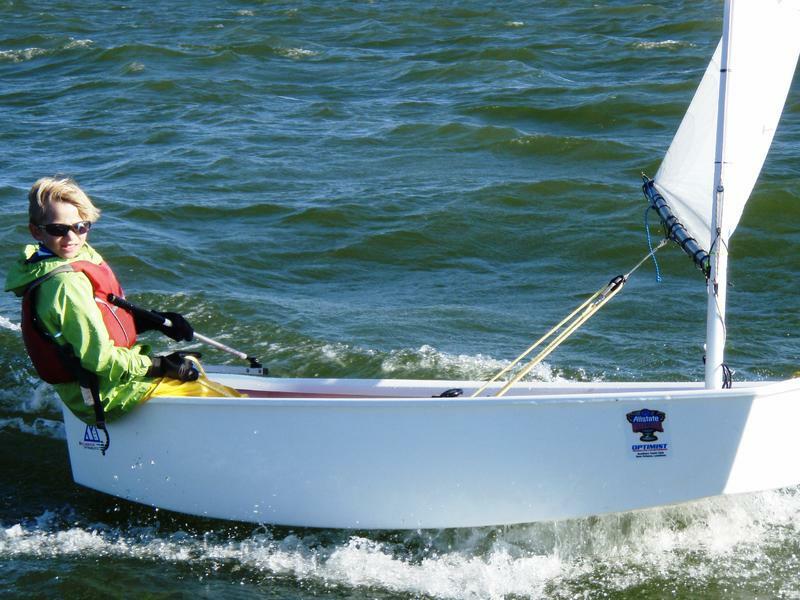 Racing blades with blade bag, Optiparts silver spars, an Olimpic cross-cut sail with sail bag, mast collar, wind indicator, floating bowline, bailers, and praddle. Colie padded top and bottom covers, and matching red dolly.